Russia is a great power, a fact which the disintegration of the USSR, and the collapse of the Russian economy temporarily obscured. Now, with Russia moving troops into Ukraine with relative impunity, whilst the international community staggers for a response consisting of more than calls for dialogue, Russia’s great power status should be easy to see. Russia is no superpower, Russia might not even be a regional hegemon, but Russia remains a state with great political, military and economic tools of influence, attraction and coercion when applied in the right circumstances. The closer to Russia’s Eastern European heartland you go the more influence it has, and Ukraine is very close to this heartland. Many pundits have pointed to Russian behavior in its “near abroad” as evidence of a coherent policy of Russian aggression and territorial aggrandizement. Whilst it is attractive to cast Russia as a resurgent evil empire with hegemonic pretenses, doing so gives the Russians a little too much credit. Putin’s Russia is reacting to events in an opportunistic fashion, taking advantages of the weaknesses in opponents as they arise. Russia seems to be under no illusions about its share of global power, and whilst its actions in its near abroad have upset many foreign countries Russian behavior has not been reckless. Russia’s Ukraine policy is about as likely to spark a wider conflict as the wars in the Caucasus were, which is to say, not very likely. Ukraine’s new political leaders might be new to great power games but they surely cannot think they can defeat Russia in even a limited war. They also should not be too deluded into thinking Western states will fight a nuclear power like Russia on Ukraine’s behalf. Western states baulk at intervention in Syria and have shied away from fighting Iran or North Korea in recent years, so it would take a severe bout of schizophrenia on the part of NATO members to plunge into Russia. What, then, are we to make of the conflict? What will be Russia’s next moves, what can the West do, and how can the situation be brought under control? First, it is important to understand Russia’s position. 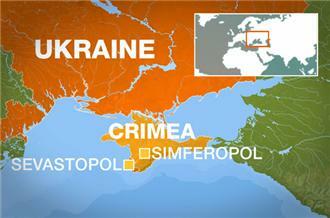 Ukraine has many Russians within its borders, and it has critical military installations on the Black Sea. Russia cannot risk losing its Black Sea base (which it maintains in Ukrainian territory by an agreement with Ukraine), and Russia cannot allow its citizens to be attacked, discriminated against or otherwise deprived of their rights within Ukraine. The United States would not tolerate its citizens being harmed by deliberate government policies in its own hemisphere (much less just across the border), and neither will Russia – great powers demand respect for their citizens and military installations abroad. As an untried, and potentially highly nationalist government has taken power in the Ukraine, Russia is essentially pre-positioning itself now so it can direct events rather than just react to them. If Russia does nothing about the new Ukrainian leadership’s shift to Europe the consequences from a Russian perspective could be grave. Ukraine could go from a free trade agreement with the EU, to EU membership to NATO membership, to joining US-led missile defense systems to demanding Russia leave its Crimean ports. Putin recognizes that such a sequence of events can best be stopped now whilst the situation is still fluid. 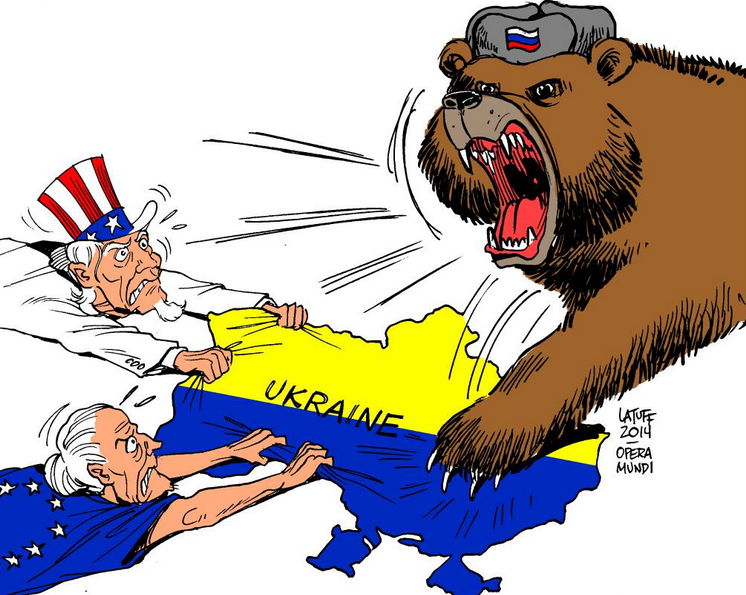 We can now expect the following Russian actions; a continued military buildup in the region; the positioning of more military and paramilitary forces in Russian-dominated Crimea; a move by Crimea’s local government to distance itself from the central authorities in Kiev; an eventual vote or referendum on greater autonomy, then secession, from Ukraine; the de facto incorporation of Crimea into Russia. We can expect that having positioned forces in Crimea, and potentially in other Russian-dominate areas, local Russians will use the dual shield of liberal-democratic principles (like elections and self-determination) and the Russian military to separate completely from Ukrainian control, first in practice and then, perhaps in some years’ time, formally. Ukraine can do little on its own to stop process of gradual annexation. It cannot push Russian military forces aside and reassert control over Crimea and Eastern Ukraine, and so the local authorities there will be able to wield increasing local autonomy. With self-determination norms and liberal-sounding rhetoric being used by Russia, and Ukrainian Russians, the West will be hard-pressed to de-legitimize such moves. Thus the time is ripe for both threats and promises by EU, NATO and Ukrainian leaders. Russia needs to understand the limits of tolerance for its actions, but it also needs assurances about the future of its interests in Ukraine. Russia’s opponents in the crisis, from Washington to Kiev, must make it clear that economic sanctions will be enacted against Russian firms and Russian people, should Russia continue towards defacto annexation. Russia should be offered a timetable for a phased withdrawal of forces to specified locations and numerical limits, with a similarly phased timetable of increasing consequences. In return, Russia’s rights to its military facilities should be confirmed publicly by all parties, and the UN should offer a force of neutral observers from acceptable countries to monitor and report on the status of Russians in Ukraine. EU members in particular should make it clear that there can be no discrimination against ethnic Russians, and that they acknowledge Ukraine as a bi-national state. Ukrainian politicians and NATO members must also give assurances to Russia, publicly if needs be that Ukraine will not join NATO and, as radical as it seems, Ukraine should consider entering into formal neutrality agreements with the great and regional powers. With its vast economic problems and a barely existing military establishment this should codify political reality for the foreseeable future rather than radically alter anything on the ground. Furthermore, Western states should reassure Russia that should nationalist violence erupt in the future they would support UN peacekeeping in the region – genuine violence against Russians should not be tolerated by the West anymore than Russian occupation of Ukrainian territory, and Western leaders should say as much. Some Western diplomats have voiced concerns about losing Russia’s cooperation in other regions if Russia is punished for its behavior in Ukraine. Christopher Hill, a former US ambassador to multiple states claimed that sanctioning Russia would throw away years of work. This is wrongheaded for two reasons. First, with appropriate assurances Russia will not need to continue its current policies, and will be allowed to back down with the dignity of a great power whose price has been met. The danger is in using nothing but sticks, which will make Russia more adversarial and more willing to press on the West’s weak points. Second, Russia does virtually nothing to assist Western states in diverse areas such as Syria, North Korea and Iran that do not already accord with Russian interests. Russia has not been engaging in diplomacy in these areas because of feelings of friendship with the West; it has been doing it to preserve Russian interest, and to keep some control over outcomes. Even then it is hard to see what multilateral processes of coercive diplomacy by Western states have been made more effective by the inclusion of Russia in the bargaining process. Recall that Russia has been a prime mover in using “respect for sovereignty” as a rationale for undermining Western action in Iraq, Syria, Iran, North Korea in recent years, and yet it has so easily moved to “reserve its rights to protect its interests in Ukraine”. Russia follows its interests and it can be expected to continue doing so. It will give cooperation on projects it considers worthwhile and will hinder those it does not. That’s business as usual. The trick is not to avoid threatening Russia, but to make genuine promises that mean the threat will only be carried out if Russia is foolhardy and reckless, rather than simply opportunistic. Dealing with Russia requires threats and promises. At this stage Western states are fumbling towards threats but offer no assurances to Russia that they respect Russia’s interests in Ukraine. Respect them they should. Russia is not a superpower, but it is a great power.